Parents: How well do you keep your kids safe in their car seats? According to Consumer reports, in the last 40 years car seat technology has changed in security style and how they are installed in your car. Because of these changes, you could be missing something. Though National Child Passenger Safety Week has come and gone, it’s important for parents to know the safety measures when it comes to buckling your child in. Below are some tips on how to make sure your car seat is really safe. Do your research before selecting a car seat. 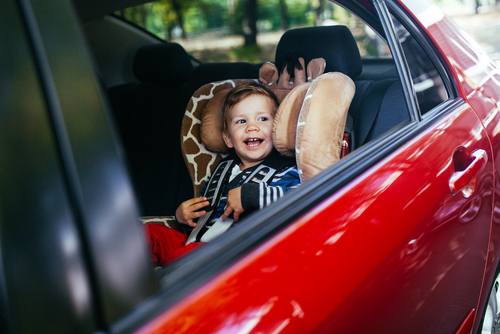 It’s important to find not only a seat that’s compatible with your car, but best fits your child’s current safety needs. Better yet, the national Highway Traffic Safety Administration (NHTSA) has a list of the four types of car-seats to use for different height and age types. Don’t just go with one because of price, but make sure the car seat best fits your kids age, height and weight. The car seat loses all of its safety credibility if the seat is not properly installed. According to Ben Hoffman, associate professor of pediatrics at University of New Mexico, “the overwhelming majority of car seats are mis-installed.” As such, the most common mistakes with installation include: routing seat belts, not putting seat belts in lock mode, forgetting to use the tether and not putting enough weight on the seat as it’s being installed. It’s important that parents follow the safety guidelines on their car seat manual. Many parents prematurely face their child forward too soon or advance them to a booster seat or no car seat at all when really they should still use one. The American Academy of Pediatrics advises that parents should keep their kids rear-facing until the age of 2 or until they reached the height or weight limit for the car seat. Check with the seat manufacturer before advancing your kid to the next car seat level. Lastly, it’s important to register your car seat online. Why? Because you’ll receiver car seat and booster seat recall notices faster. Also, don’t be afraid to get professional help if you’re struggling with installing your first car seat. They can walk you through the installation steps and help you check off all the boxes so your kid stays safe in the car.